After reaching next choice return to title menu. Now go to the main menu and click Gallery, then Memory, and play Memory 205. 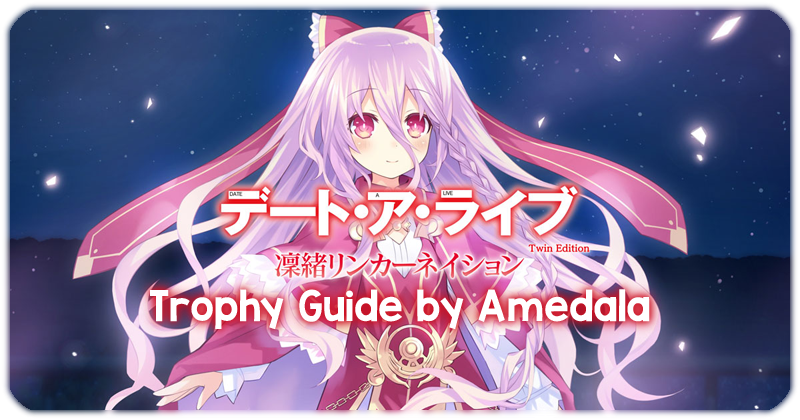 Start Date A Live: New Part 凜緒リンカーネイション it is the middle Game. Skip the route after that we can use New Game. Now go to the Gallery and then open the CG Section. After that open the Movie Section and play One Movie. Last go the Memory Section and scroll Button once for the Trophy. The PSVita version is different to the PS3 version so i can´t copy the answers but i looked in your guides for some tips. Edited by Hakoom, 24 September 2015 - 06:05 AM. So you cannot beat the PSVita- version with this guide ? A tip - in the options menu switching second option also to the right causes that autoskip doesn't stop after the answer. Thanks for the guide; for the later parts in the roadmap for the third game, I loaded the save straight away instead of returning to the title first. There is apparently no issue. The interesting part is that for the CG trophy I needed to open one CG (similar to movie), while I did not need to press anything for the memory section (Last two trophies popped as soon as I entered it). Perfect Guide! 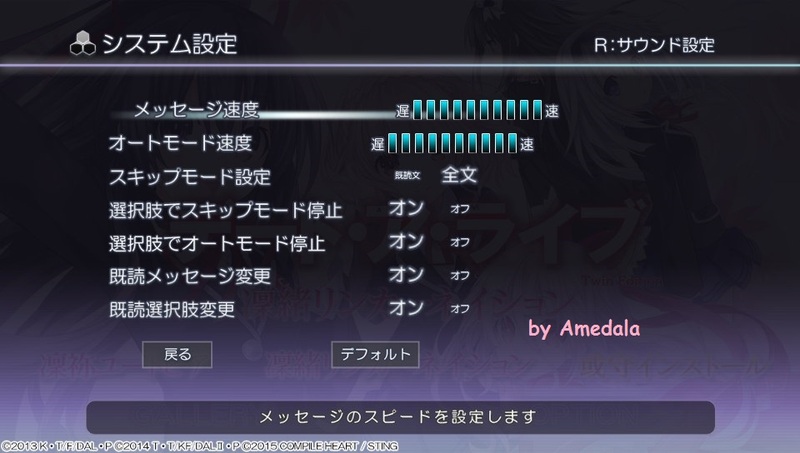 Thank's alot for the Help Amedala!